God does not only want you to believe in him and follow Jesus, he wants a daily personal relationship with you. Being in a personal relationship requires spending time together and getting to know one another. Exploring the four Gospels and the relationship Jesus had with the people he meets. We will be reflecting on God's desire for us to know him and to be known by him. 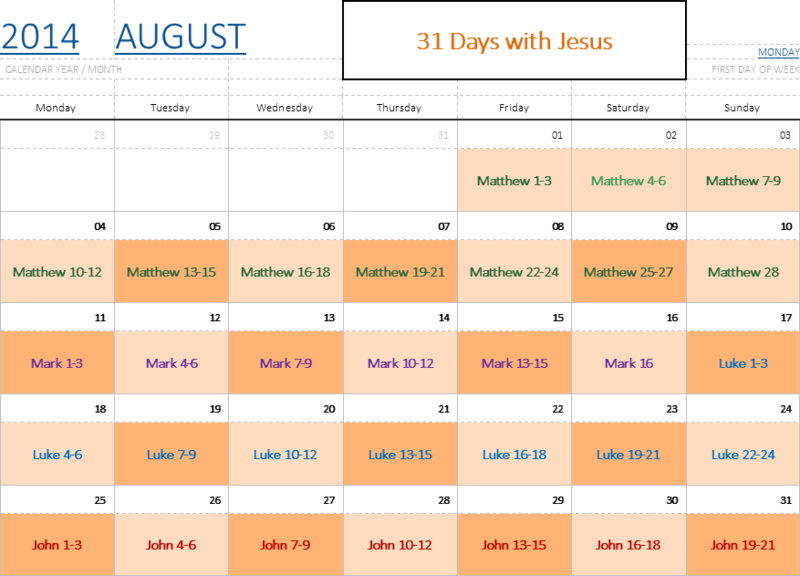 Join me as I spend August with Jesus looking at his relationships and applying what we learn to our lives today as disciples. I will be posting encouragement, insights and thoughts to help you think deeper. You can get these by subscribing to this blog, sending an email with '31 days" in the subject line and also via the Facebook group.